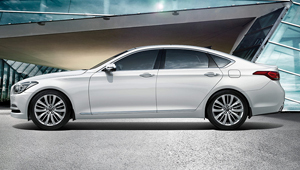 Genesis is the large premium sedan, reimagined. 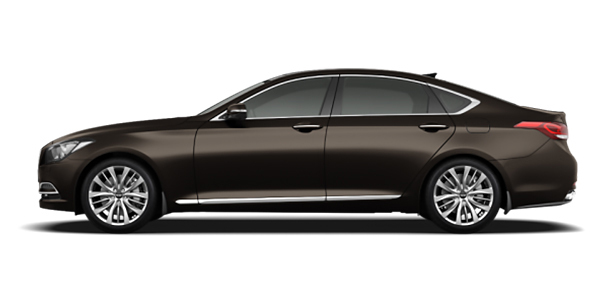 Sophisticated Euro-styling, with bold, flowing lines and a graceful, restrained elegance, it comes loaded with a suite of technologies which come standard. In everyway, and from every angle, our newest and most exciting creation exemplifies this commitment and dedication to new thinking. 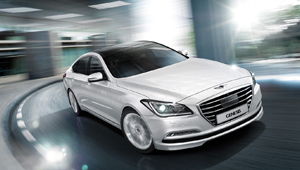 Given the comprehensive active and passive safety features that come as standard, it's no surprise that Genesis has been given the highest ANCAP safety rating score ever awarded. 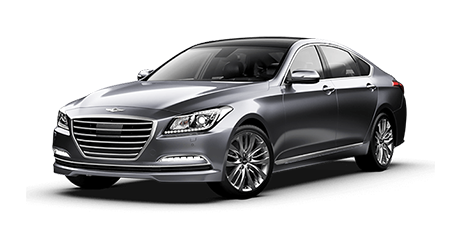 Smart technologies and intelligent ergonomic design ensure that Genesis delivers the utmost in driver comfort and convenience, allowing you to feel confident in every driving situation. 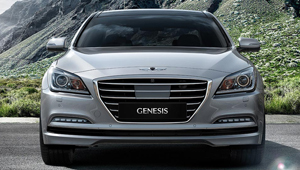 Genesis matches its elegant, dynamically sculpted shape with an exhilarating performance that's delivered by an athletic, and highly-advanced, all aluminium Lambda II 3.8-litre GDi V6 engine. Whether you're just looking from the outside or sitting behind the wheel, every aspect of Genesis speaks to the perfect balance of sports performance, comfort and handling. The sleek flowing lines and assured exterior styling of Genesis embody the second generation of our nature-inspired Fluidic Sculpture design philosophy. 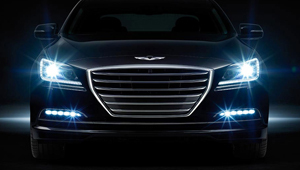 Genesis is created to turn heads, and change minds. 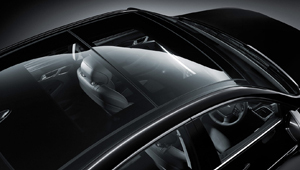 The fluidic design philosophy continues with the twin-panel panorama glass roof. * At the touch of a button, the front roof panel opens for an even sportier driving experience. Flooding the cabin with light, it also provides shade and insulation from wind, and offers relief from the heat and external noise. 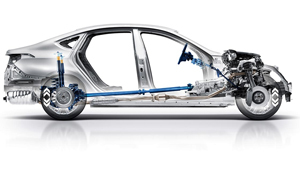 The ultra-high tensile strength steel used in Genesis is a high performance, special steel alloy applied to safety-critical areas of the body shell, where additional strength reinforcement is required. The benefit is superior crashworthiness. 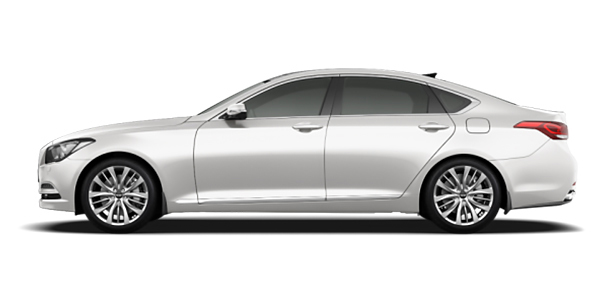 With its finely tuned suspension, elongated wheelbase and high-strength steel body, you'll enjoy confident handling, whether driving in the city or on the open road, as well as an exceptionally smooth ride. Upon opening the doors, you inhale the unmistakeable quality emanating from the premium appointed leather soft touch surfaces, such as the beautifully detailed seats and cloth covered pillars. 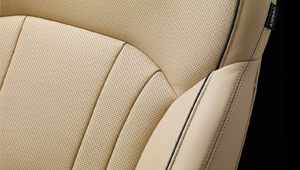 The soft comfort of leather* is extended to the steering wheel and gear shift knob as well as to other interior surfaces. 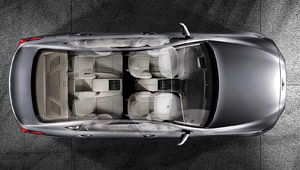 The well-balanced and spacious cabin space of Genesis exudes luxury throughout. Convenience and ergonomic design shine through the placement of buttons, knobs and switches, which feel precise to the touch and are where you intuitively expect them to be placed. 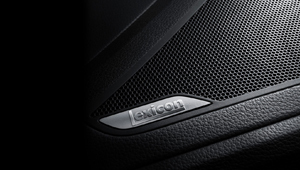 Genesis is equipped with the GRAMMY® Award-winning Lexicon® audio system, with discreet LOGIC7® surround sound processing, through a system of 17 speakers. For even greater purity of sound, noise-reducing glass shuts out the noise of the world outside*. The electronically adjustable driver and front passenger seats provide four-way lumbar support, with the driver's seat featuring an adjustable seat cushion extension and an integrated memory system* that stores settings for up to 16 adjustment options. 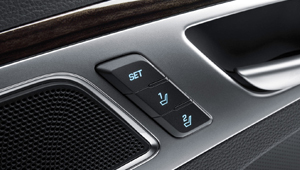 The driver and front passenger seats offer a three-level cooling and heating option, enabling you to adjust the level of ventilation of seat backs and cushions, ensuring total comfort on every drive. 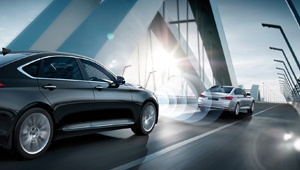 Combining radar and camera data, the Autonomous Emergency Braking system activates the brakes when it detects dangerous, sudden braking by the car ahead. 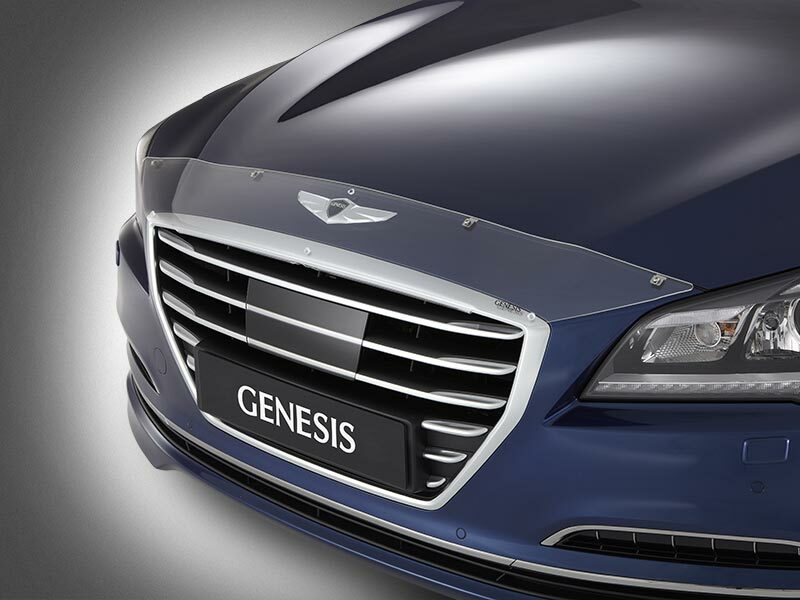 When travelling 80km/h and below, Genesis will come to a complete stop. 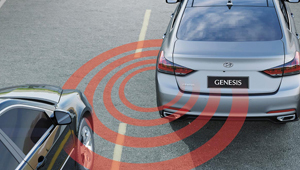 A camera mounted on top of the windshield enables Genesis to recognise the markings on the lane you're driving in and, if it detects an unintended departure, initiates an alert to the driver. Intelligent features like Blind Spot Detection* alerts you to objects in close proximity, and Lane Change Assist* warns you if a vehicle is approaching rapidly from the rear. When reversing at low speed, Rear Cross Traffic Alert* warns you of objects approaching on both sides of the vehicle. 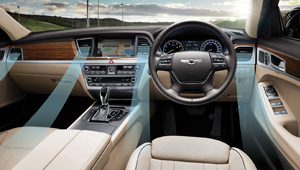 The Around View Monitor's* four pantoscopic cameras display a bird's eye 360 degree view of the Genesis on the centre console screen, so you always know what's immediately around you. 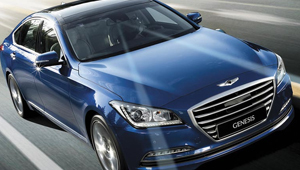 The Genesis is equipped with a roll-over sensor and a comprehensive system of nine airbags, offering maximum protection in the event of a collision. 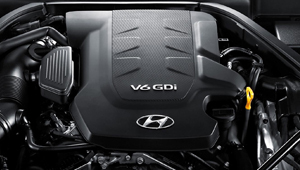 The all-aluminium Lambda II 3.8-litre GDi V6 engine in Genesis produces an exhilarating power output of 232 kW at 6,000 rpm and 397 Nm of torque at 5,000 rpm, delivering unparalleled handling, and an exceptionally smooth ride, whatever the conditions. 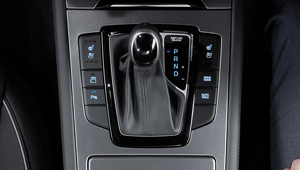 The powertrain is coupled with a Hyundai-developed eight-speed Shiftronic® transmission that seamlessly delivers power to the road for smoother and more refined acceleration, while paddle shifters put lightning fast manual gear changes at your fingertips. Normal, Sport and Eco modes alter steering, throttle response and transmission logic to give you the option to tailor to each environment, or personal preference, during every drive. To deliver luxury sedan handling with Australian comfort and dependability, Genesis was subjected to a 12-month localisation and tuning program, over thousands of kilometres across urban, country and outback roads and surfaces. The High Intensity Discharge headlamps cast a significantly brighter and longer light beam, and are complemented by high visibility LED daytime running lights. Automatic headlight-levelling capability also ensures correct beam direction, regardless of load. 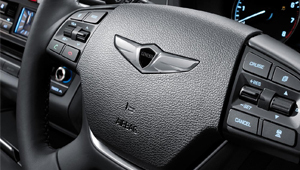 The Smart Cruise Control system varies your pre-set speed by using data from a radar to maintain a consistent distance behind the vehicle ahead. 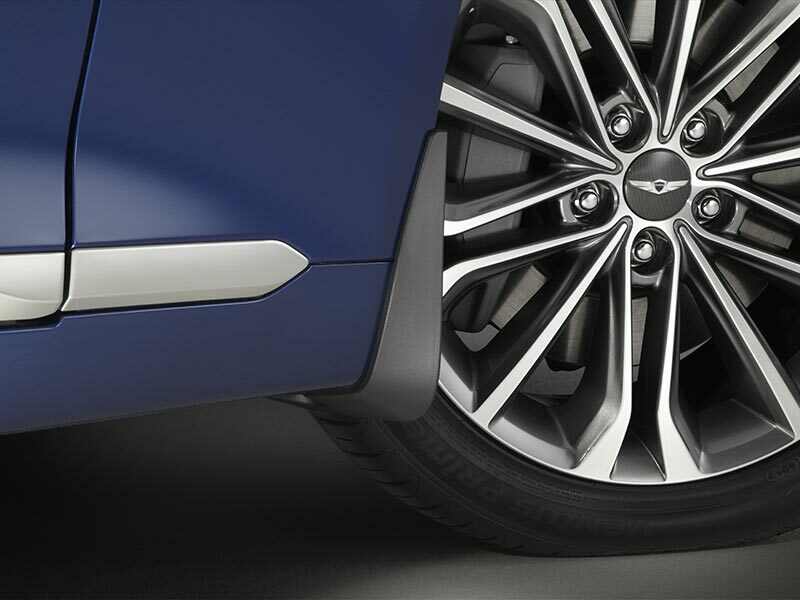 When standing for more than three seconds within a metre of the rear of the Genesis with the proximity smart key, the Smart Boot senses your presence and automatically opens to allow you to store your cargo, hands free. 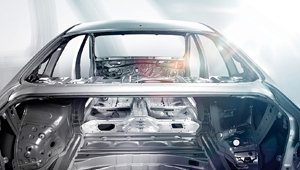 A smart air conditioning system* automatically activates the ventilation system when elevated levels of CO2 are detected in the vehicle's cabin. The addition of fresh air helps improve driver alertness and reduce the risk of fatigue. If the doors have only been partially closed, sensors embedded in the door latches activate a motor that closes them automatically. 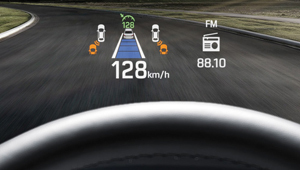 The Head-Up Display system allows you to stay focused on the road ahead, while viewing key driving information projected onto the front windscreen. 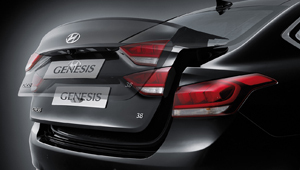 Each Genesis is equipped with factory-fitted satellite navigation. 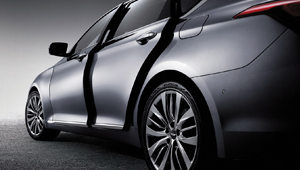 Through the Hyundai iCare HERE MapCare™ Plan, you can receive up to three years of FREE map updates#. 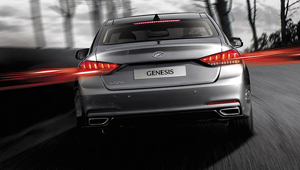 Your new Genesis is supported by 5 years of complimentary Roadside Assist. 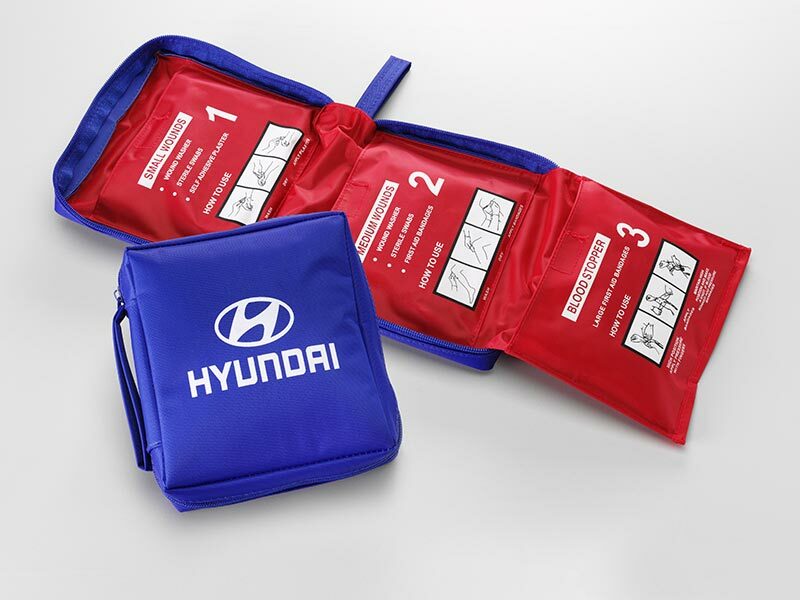 Then, maintaining through servicing at a Hyundai iCare Service Centre, your cover can extend up to 10 years*.